DURHAM: Robert “Bob” Veasey, 83, passed away on Saturday, October 13, 2018 at his home in Durham. He was born in Granville County, the son of the late Walter Josephus Veasey and Neta Clark Veasey. 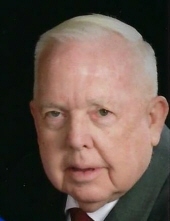 Mr. Veasey was a U.S. Army Veteran and a member of Gorman Baptist Church. He retired as an Electronic Technician from IBM. Mr. Veasey is survived by his wife of 48 years, Merle Veasey; son, Ken Veasey (Lisa); and step-grandchildren, Carson Munn, Hampton Munn, Turner Munn. A funeral service will be held at 11 a.m. on Tuesday, October 16th at Clements Funeral Chapel in Durham. The family will receive friends prior to the services from 9:30 to 11 a.m. at the funeral home. Burial will follow the services in Oak Grove Memorial Gardens. Flowers are acceptable, or memorial contributions may be made to Duke HomeCare and Hospice: Office of Development, 4321 Medical Park Dr., Suite 101, Durham, NC 27704. To send flowers or a remembrance gift to the family of Robert "Bob" Veasey, please visit our Tribute Store. "Email Address" would like to share the life celebration of Robert "Bob" Veasey. Click on the "link" to go to share a favorite memory or leave a condolence message for the family.